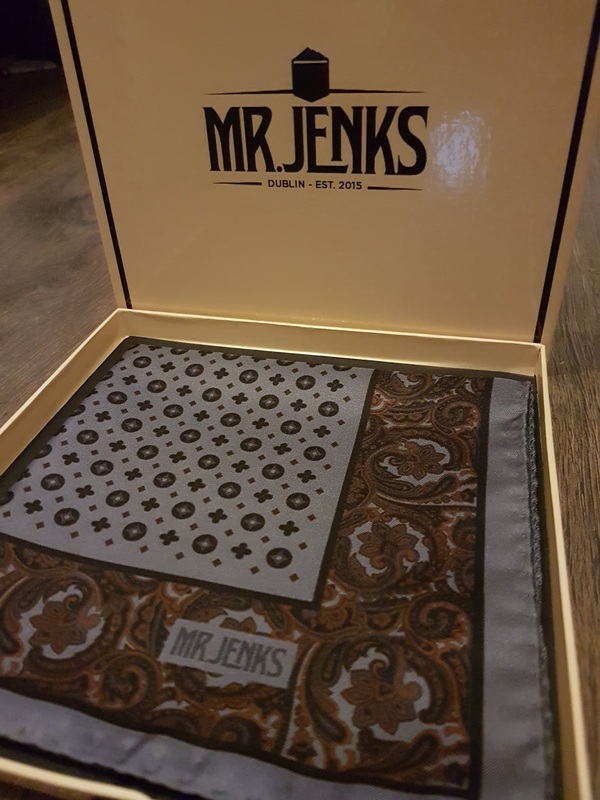 Mr Jenks very kindly sent me two silk squares, which are usually £29.99 each - a grey diamond and paisley one and an orange and cream polka dot one. 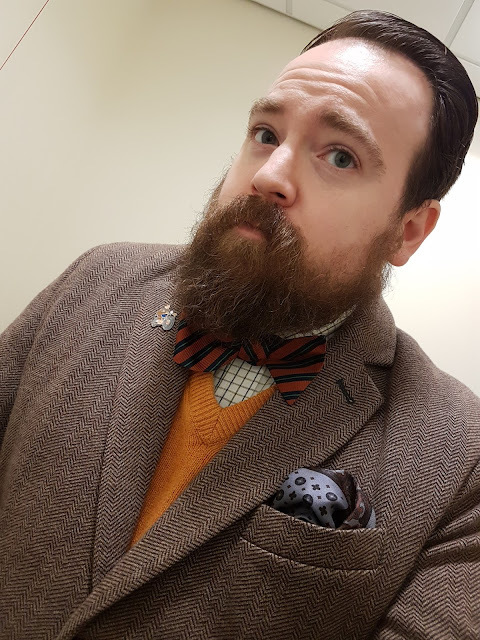 Yes, I may have divulged that my favourite colour is orange. 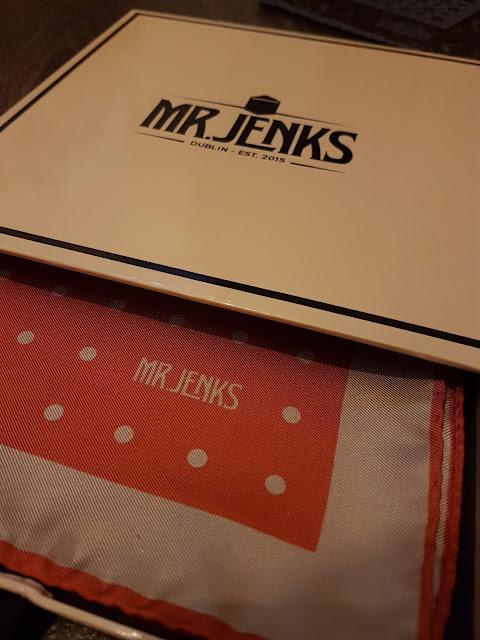 The pocket squares arrived in an attractive art deco inspired box, wrapped in dark tissue paper. I appreciate a good box, especially for storage. It was a real treat to open the drawer of the box to discover what was so lovingly ensconsed inside. 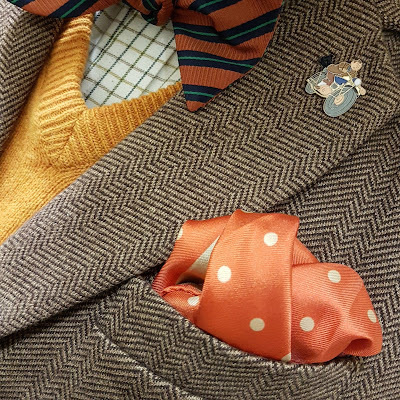 Both pocket squares are 33cm by 33cm, which are a marvellous size. I have some squares in my collection that are smaller and some that are larger and there are pros and cons for both, but without risking to come over all Goldilocks, 33cm is just right. The Mr Jenks squares also feature rolled edges and are made from 100% Italian silk. 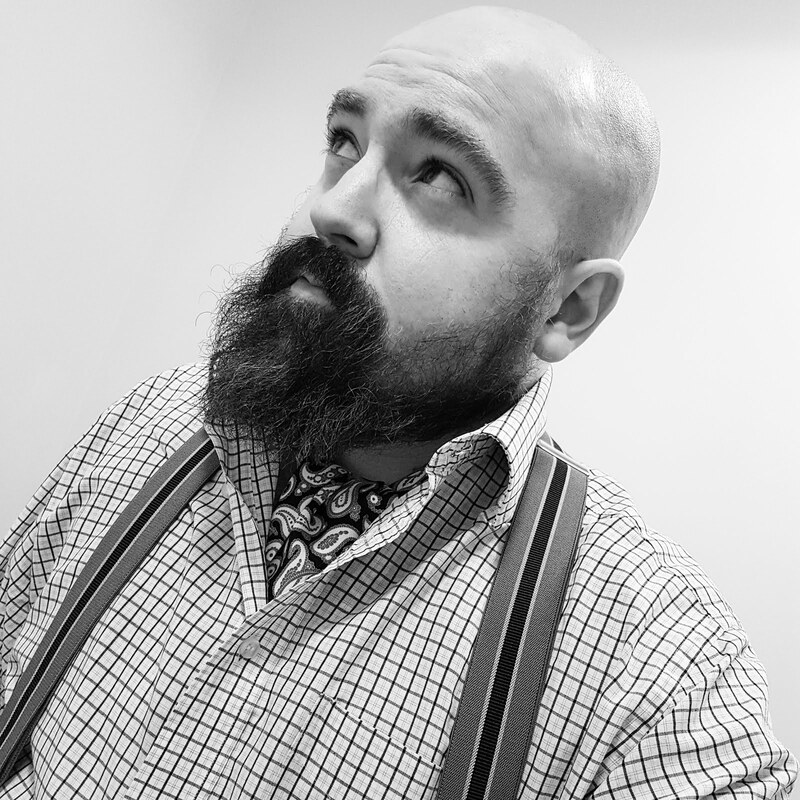 They are lovely and soft, as silk should be, and are incredible value at a penny shy of £30 each. 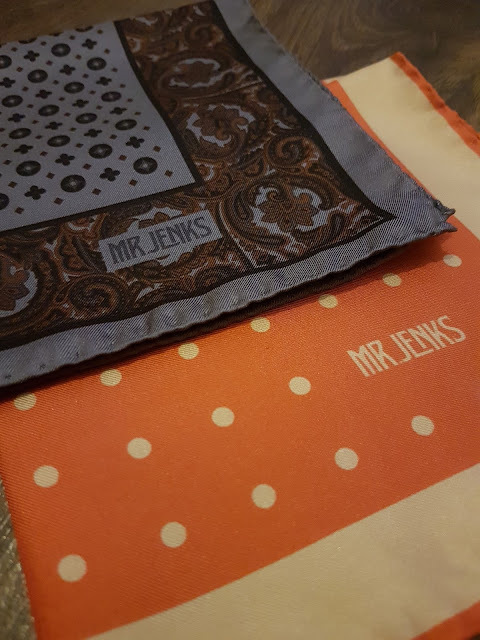 Mr Jenks have a good selection of pocket squares available and as a bonus, delivery is free (a pet peeve of mine is postage charges, especially for small and light items). So in case I've not made myself clear, I'm impressed.